Look at your desk. Chances are you have at least two screens in front of you. From smartphones to multiple monitors and even tablets, backlit screens constantly demand attention during the workday, but that quality of light could have a negative impact on health, comfort and productivity. 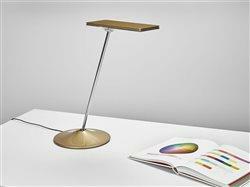 For a quick fix, add a task light. Proper task lighting is an easy hack that can significantly improve your overall wellbeing and productivity at the workspace. It can be easy to forget the impact light has on our daily lives, but quality light is vital to keeping us healthy, alert and functioning at our best. It affects not only the biological circadian rhythm, but also emotions and overall sense of well-being. If you’re ready to invest in a quality task light, here are a few key features to prioritize: quality of lighting, adjustability and footprint. Look for task lights with the latest LED technology, which provides superior light quality. If designed correctly, LED lights minimize glare, create a uniform footprint of light and cast a single shadow. Many task lights create multiple shadows on the work surface, adding visual complexities that can lead to ocular fatigue. Although you may not notice it, a task light that casts only a single shadow will significantly enhance your comfort. LED lights not only produce higher quality lighting, but they also are better for the environment and last longer too. A well-designed task light should also offer a wide range of light output so you can find the best brightness level to illuminate your work area. Adjustability of the light’s reach is just as crucial so it can allow you to position the light where you most need it. And finally, a large footprint of light helps you shine high-quality light on more space, eliminating the reliance on subpar overhead lights. 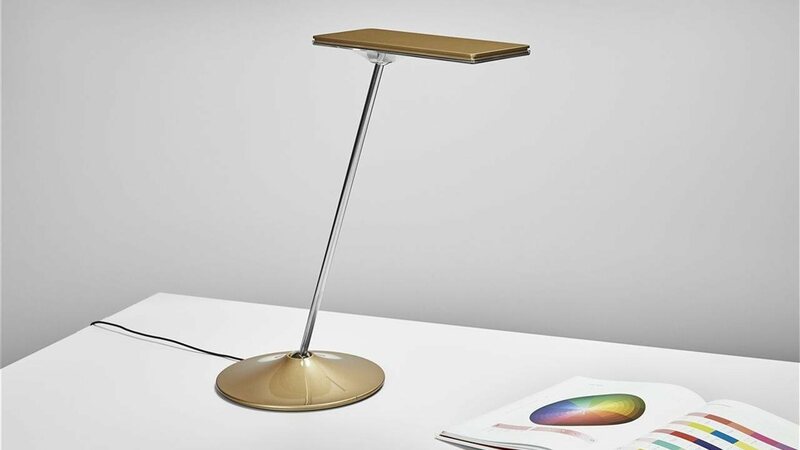 Humanscale just released the Nova and Horizon 2.0 task lights that offer exceptional light quality by compacting a range of technological and LED innovations into high-quality and sustainable designs. These task lights have Energy Star 2.0 certification and are made without toxic chemicals commonly found in other household and workplace products. Both also have nightlight modes and sensors that automatically turn the light off when you leave the room. 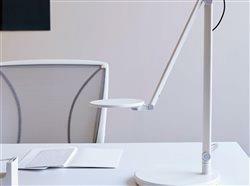 Consider task lights to promote your ocular health and keep you comfortable while you work. Proper task lighting is an easy hack that can improve your health, comfort and productivity at work. 1) Light affects your health: It influences your biological circadian rhythm, your emotions and overall sense of well-being. 3) Features make a difference: Prioritize quality of lighting (look for the latest LED technology), adjustability and footprint. 4) The light’s reach is also important: It should offer a wide range of light output so you can find the best brightness level to illuminate your work area.